One of the most popular species of plecos fish you will find in hoe aquariums, the Bristlenose pleco (also known as the Bushy Nose Pleco) is an easy-to-care-for tropical fish that will provide you with years of enjoyment. This fish, a member of the Plecostomus family and an easy fish for beginner aquarists, is an interesting species to have in your tank. 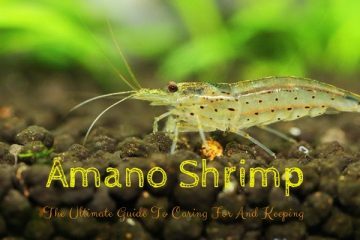 It is one of the best algae eaters you can find, and it gets along well with most other fish species. 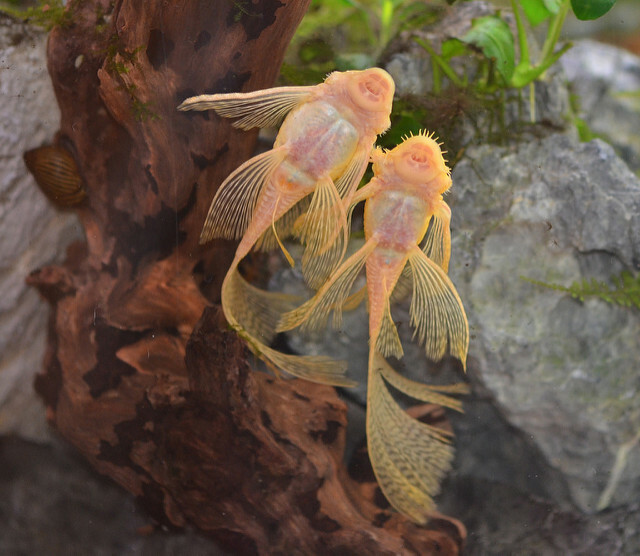 Consider our guide for raising bristlenose plecos and get started today. What Do Bristlenose Plecos Eat? Is A Bristlenose Pleco Right For You? The Bristlenose pleco is commonly chosen for aquariums because it is small in size and incredibly easy to take care of. As a master of disguise, this fish hides easily in the substrate as well as among the decorations of your tank. It is preferred to the common Plecostomus by most because it is smaller in size and gets along better with other fish. 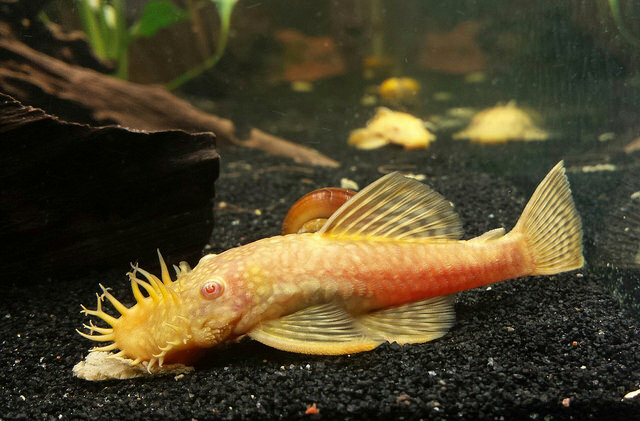 Also known as the Bushynose Catfish, the Common Bristlenose Catfish, and the Brushmouth Pleco, this fish has a unique appearance and originated in South American and Panama. A nocturnal freshwater fish in the family Loricariidae, these fish are native to freshwater habitats. Today, the bristlenose pleco has one of the widest distributions out of all fish species. Most are found in the rivers and floodplains of the Amazon River basin, but there are species in tropical South American and Panama as well. These fish are also adapted to a subterranean environment, with some types possessing a whitish appearance and reduced overall pigmentation to help them survive without light. These fish are found in all tributaries of the Amazon River, and there are sixty-four recognized species in the genus. All of these species are closely related to the bristlenose pleco, but the bristlenose is the best for aquarium hobbyists and surpasses all other comparison. In the wild, this species is not listed on the list of endangered species. They are found in great abundance in fast-flowing waters, feeding on microscopic foods in deep, dark areas. You might find bristlenose plecos in flooded forests, or even spot the young in shallow pools. Bristlenose plecos are currently found in other areas of the world besides the Amazon, largely because they have been released by aquarium hobbyists who were unable to care for them. Most biologists recommend against releasing one of these fish back into the environment under any circumstances. It can be difficult – if not impossible – for them to adapt to the challenging conditions outside the aquarium, and although they are seemingly harmless, they have the ability to seriously disrupt other ecosystems. The bristlenose pleco has a wide head and a short, fat, and flat appearance. It looks quite portly in comparison to the Common Plecos, sporting a flat body covered in bony plates. As this fish reaches maturity, it produces tentacle-like branches from its head, with the male tentacles growing much longer than the females’. The fish also has a pair of abdominal and pectoral fins, along with a round mouth with elongated lips. As a suckerfish, you will often find this creature stuck to the side of your fish tank as it scours for food. 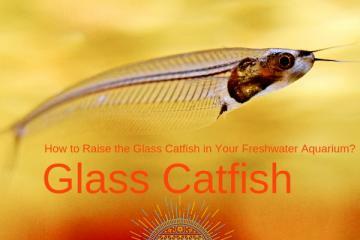 It can grow up to three or four inches in length, making it one of the smallest aquarium catfishes around. These fish are generally a neutral color, such as black, brown, grey, or olive. They usually have light white or pale yellow spots that cover their entire bodies, with undersides that are lighter in color than their main bodies. Because of this coloration – as well as the fish’s natural propensity to sit motionless for hours on end – bristlenose plecos hide from predators quite easily. Bristlenose plecos are some of the friendliest species you can own in your aquarium. They spend most of their time hanging out at the bottom of the tank, sucking peacefully on the side of the glass or on the substrate. These fish are calm and easygoing, and can get along easily with most other community fish (provided that those fish aren’t naturally aggressive). Because of their calm dispositions, bristlenose plecos are easy to care for by both experienced and beginner aquarium hobbyists. As hardy fish species, they can comfortably adapt to a wide variety of tank conditions. While males should not be kept together as they get extremely territorial (this is especially true if you plan to breed your bristlenose plecos), you can keep multiple bristlenose plecos together in the same tank. Keep in mind that if you are housing your bristlenose plecos with other aggressive or semi-aggressive species, this can be dangerous. While bristlenose plecos themselves are not aggressive, they possess bony armors and spines that can injure other fish if they decide to attack the more peaceable plecos. Monitor your fish carefully to guard against this behavior. Bristlenose plecos will spend much of their day hanging out at the bottom of the tank, grazing on the algae that grows on all surface. Keep in mind that algae should not be the sole source of your plecos’ diet – it will need a diet that is nutritionally balanced with about 85 percent plant matter and 15 percent protein. 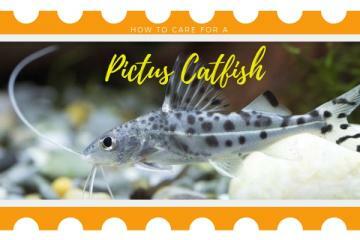 In order to successfully raise a bristlenose pleco, you must have the proper conditions. 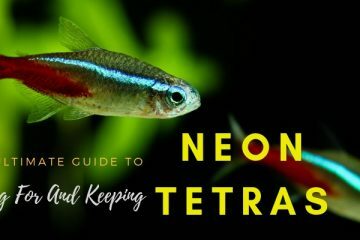 This fish can survive just fine in a thirty-gallon tank, but keep in mind that you will likely need a much larger setup in order to keep this fish satisfied. This is because the bristlenose pleco produces a large amount of waste and can grow to a rather large size. If you are housing your bristlenose pleco with other fish, you will need to keep it in an even larger tank (think fifty gallons or more). You want to make sure your fish have plenty of room to swim and to grow, and that they aren’t crowded by too-small living conditions. Filtration is important in any tank, and the home of a bristlenose pleco is no exception. 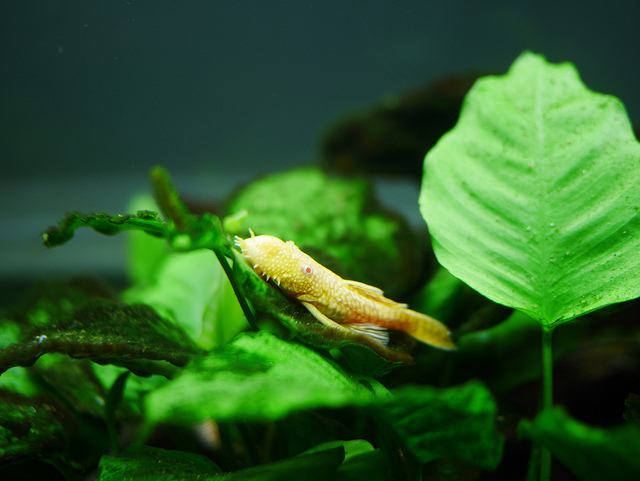 Even though bristlenose plecos are algae eaters, they still produce waste in turn and you need to have an effective method for getting rid of it. A hang-on-back filter and a sponge filter work well in larger tanks, but you can also invest in a high-quality canister filter to get the job done. Because these fish originated in the streams and rivers of South America, they prefer freshwater with well-aerated currents. They like well-oxygenated waters with a steady flow. Water hardiness should be between 20 and 25. In general, bristlenose plecos enjoy playing in the substrate. Many people use sand in their tanks, which is easier to clean than gravel and can easily be sucked up with a vacuum for cleaning. 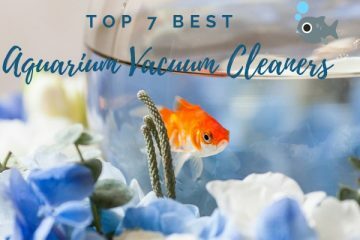 However, it is also quite easy for your fish to make a mess while playing in the sand, which can cause sand to be blown around the tank and into the filter. Gravel is a bit easier to deal with, but slightly more difficult to clean as waste can fall between the pieces of gravel. It is also slightly more challenging for your fish to breed in, as the fish can bury themselves in it at any time. Remember, too, that lighting is a concern when it comes to this nocturnal species. They should have access to light in a traditional day and night schedule, but remember that there should be minimal light at night. Include plenty of natural light for plant growth, and consider using LED lights. These can be programmed for day and night cycles, and also allow for plenty of shadowed areas with hiding spots during the brighter daylight hours. Bristlenose plecos prefer tanks that offer them plenty of places to hide. In the wild, they will spend much of their time foraging in the substrate for food, or hiding in safe places such as under rocks or driftwood. In the tank, you can replicate this environment by offering your bristlenose plecos a large piece of wood, some piping, or even some artificial plants. You don’t need to get too elaborate in decorating the tank, but make sure there are plenty of places for your fish to take cover. Driftwood is a good option for a number of reasons. Bristlenose plecos are nocturnal fish, so they need places to hide while the light is out and too bright for their sensitive eyes. Providing shadowed areas where they can rest is incredibly helpful. In addition, these fish need access to algae and a source of fiber for their diets, both of which driftwood can provide. If you are housing your bristlenose plecos with other fish, remember that the bottom of the tank will need to be exceptionally large to give them extra space. These fish produce a large amount of waste, so an underwater gravel water system is recommended to help keep the tank oxygenated and maintain clean, ideal water conditions. 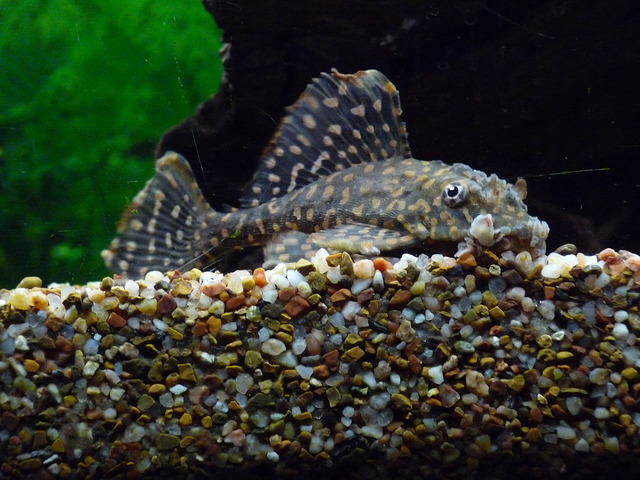 If you’re new to fishkeeping and are concerned about your new bristlenose pleco adjusting to the water, consider purchasing an adult fish instead of a juvenile, which are more sensitive to pH levels than are adults. If you notice your fish rushing to the surface of the water for air, don’t panic. These fish do need to take in some oxygen, so this behavior is normal. However, if they do this constantly, you may need to perform a water change. It could indicate that there is too much ammonia in the water, or conversely not enough oxygen. Keep your bristlenose pleco in waters that are around sixty to eighty degrees Fahrenheit. You can adjust the temperature based on the needs of your other fish. The pH should be between 5.5 and 7.6; again, this can vary depending on what your other fish require. Bristlenose plecos are hardy fish, so their temperature and pH range can be a bit broader than what you might expect based on caring for other fish. In the wild, this fish prefers well-oxygenated areas with good water flow. They will dart to the surface to swallow air, as well as to eat small pieces of debris, which comprise a good portion of their diets. It should be noted that juveniles are much more sensitive to oxygen and pH levels than adults, so you might need to keep them isolated until you are ready to introduce them to the new tank. As algae eaters, bristlenose plecos are deeply understood. Many people assume that these fish can survive solely on a diet of algae, but this is simply not the case. Bristlenose plecos are bottom feeding fish and while they are predominantly vegetarian, they often cannot meet all of their nutritional needs by eating algae alone. Bristlenose plecos prefer plant-based foods, and will eat anything that sinks to the bottom of the tank. In general, you should consider foods that are nutritionally dense and well-rounded, such as sinking pellets or wafers. These foods will sink quickly and won’t muck up the water if they are left uneaten, as flake foods often do. You can also feed your bristlenose plecos vegetables. They will eat just about anything that is green, from broccoli to peas and spinach – they will even eat zucchini! Just make sure any vegetables you feed your bristlenose plecos are chopped into fine pieces. Make sure you remove any leftovers within a day of feeding, so as not to foul up the water as they break down over time. If you are feeding vegetables every day – blanched are best to help them sink and digest more easily – then your fish probably won’t need another source of fiber. This is especially true if you are feeding fibrous vegetables like cabbage or carrots. However, if you aren’t consistent with feeding vegetables you may need to supplement your plecos’ diet. 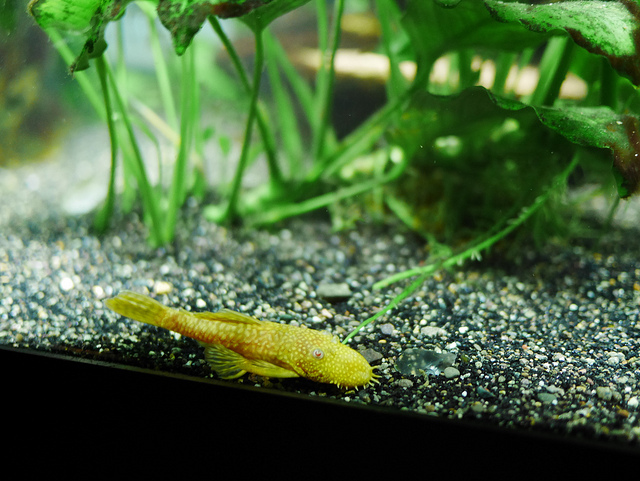 Part of the reason why bristlenose plecos like to vegetables is that they need to get some form of fiber in their diets. Most of the time, bristlenose plecos can obtain enough fiber from vegetables. However, you may need to supplement with other sources, like pieces of driftwood. Driftwood is made up of fibrous material, which the fish will then nibble on and break down. Again, a large portion of the bristlenose plecos’ diet will be comprised of algae. They will eat most kinds of algae, and if they aren’t getting enough of it (which is often the case if you have multiple bristlenose plecos or other types of algae eaters all living in the same tank) you can supplement their much-loved algae diet with algae wafers. Finally, make sure any foods you feed your bristlenose plecos are ones that will sink to the bottom of your tank. All live and frozen foods must be able to go to the bottom so that the plecos can find them. Remember that live and frozen foods are not essential components of the bristlenose plecos’ diet, and that it’s more important that you provide your fish with a ready supply of plant-based wafers, pellets, and actual algae. Feed your fish once or twice a day, and pay attention to how much food your fish eat in one sitting. Overfeeding your fish can lead to serious health problems, and leftover foods can contaminate the water quality of your tank. These fish are prone to death from overeating, so make sure you aren’t overfeeding (as well as varying their diets so they receive access to all the nutrients that they need to maintain good overall health). 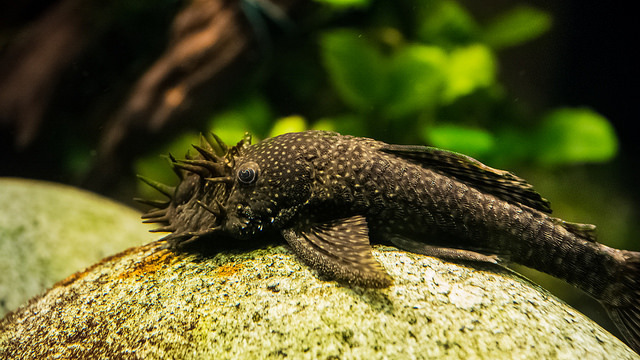 If you notice your bristlenose plecos have begun to eat your plants, it could be a sign that you are underfeeding your fish, as they usually will leave plants alone. Underfed fish may also display some discoloration. As long as you feed your fish a steady, regular diet, they should engage in normal behaviors. Bristlenose plecos can be kept with just about any kind of community fish, just as long as you provide plenty of room for them all to thrive. You should try to avoid keeping more than one male plecos together, but if your tank is larger than fifty gallons, you may be able to get away with this. Each single bristlenose plecos needs at least a twenty-five-gallon tank. You can sometimes keep multiple females in a smaller space, but make sure you provide plenty of hiding areas for your fish so that they have ample room to get away from aggressive fish. 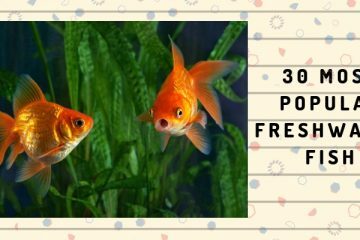 There are many common aquarium fish that can be kept in harmony with bristlenose plecos., Consider affordable, easy-to-care for fish such as platies, guppies, bettas, or tetras to get started. You can also keep bristlenose plecos together with other algae eaters, like snails or fish, too. 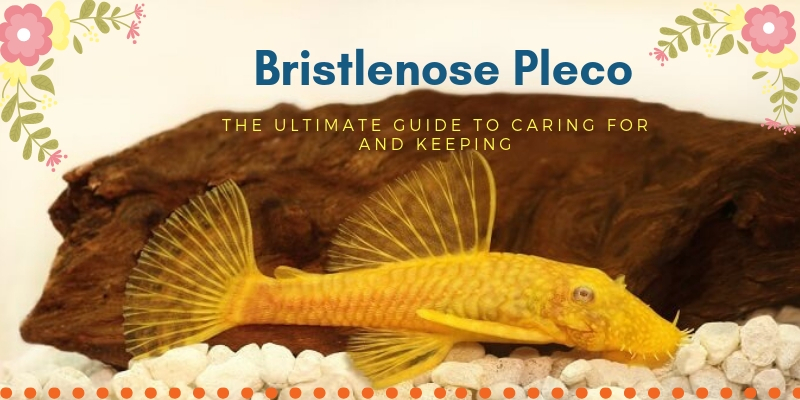 Bristlenose plecos aren’t prone to any kind of disease in particular, but can fall victim to most of the common diseases that afflict aquarium fish species. Maintaining good water quality in your tank and inspecting your fish regularly for signs of disease can help you stay on top of any problems you might have. Well-cared for plecos can live for many years in captivity, so it’s important that you pay close attention to them to monitor for any problems. Ich is one of the most common diseases in freshwater fish, but luckily it’s easy to treat and to prevent. If your fish has ich, you will likely notice that it has multiple small white spots (similar in appearance to course grains of salt) all over its body. Ich is prominent in water that is of poor quality. Heating up your tank water can help you kill off the protozoa that causes the disease, but you should also move your affected fish to a quarantine tank while you are treating them for this disease. Dropsy is another common disease and is also referred to as Malawi bloat. This bacterial disease causes bloating and discoloration. Changing the tank water can help clear up the problem, and a water change of about twenty-five percent may resolve the problem in its entirety. You can also feed your fish higher-quality food or purchase medication from the pet store. Fin rot is another bacterial disease, and this causes lethargy and a loss of appetite. When your fish has fin rot, it will have discolored fins that look as though they are melting. Poor water quality is also to blame for this disease, which usually needs to be treated with tetracycline. Next on the list of common diseases is fish fungus. Fungal growths are usually white or gray, looking somewhat like cotton balls. This disease is caused by water molds, also known as oomycetes. Your fish will usually have another disease before acquiring this one, such as a cut on its skin that provides a breeding ground for the fungus. If your waters are low in temperature or dirty, the fungi can multiply more rapidly. These infections need rapid medical treatments. Pop-eye is another common illness. As the name suggests, this disease produces protruding eyes. You can treat pop-eye with water changes and vitamin-supplemented foods, but you may also need to treat your bristlenose pleco with tetracycline. When it comes to breeding the bristlenose plecos, keep in mind that these are one of the easiest fish to breed. When you’re preparing to breed your fish, make sure you improve their diet to including live and frozen foods like bloodworms, blackworms, and daphnia. These food will improve nutrition and also help to encourage the breeding cycle. To get stared breeding your bristlenose plecos, you first need to initiate the spawning cycle. Plecos generally breed in the hiding places that you provide for them, so make sure you have given them adequate space in which to spawn. You should also change out the water at a ratio of at least fifty percent. Maintaining cooler water temperatures -which indicate the rainy season during the cooler winter months in the Amazon – can also help initiate breeding. When you change the water, this will trick the bristlenose plecos into thinking it is the rainy season. In the wild, bristlenose plecos feed during the rainy months. Once you’ve changed out the water, the breeding process will begin to take place on its own. Bristlenose plecos are territorial when it comes to breeding, and will fight other male plecos when they are looking after their eggs. If you are concerned about fighting or other injuries to your fish during the breeding period, consider moving your breeding pair to a separate spawning tank. When they are ready to begin breeding, the females will enter the hiding spot (often a cave or a space behind driftwood) with the male. She will deposit the eggs to the upper surface of the hiding spot. The eggs take about ten days to hatch. When they do hatch, they will attach themselves to the sides of the cave until they have absorbed their egg sacks (which can take two to four days). Keep in mind that if you have not moved your breeding bristlenose plecos to another tank to spawn, there is a likelihood that other fish will eat the fish eggs at this point. If you forget to move your breeding pair and are concerned about other fish eating the eggs before they hatch, simply pick up the decoration on which the eggs are laid and move it to another tank. When your eggs hatch, they will begin feeding on algae around the tank. Your fry should also be fed a well-balanced diet of other foods, too, such as infusoria and powdered spirulina. As your fry get older and mature, you can introduce other live foods and eventually plant-based foods and vegetables. You may have some trouble identifying your male and female plecos fish. However, this is relatively easy to determine. Males grow more rapidly than females, and the trademark bristles on their noses also tend to be larger in size than those of the females. At about six months of age, your juvenile bristlenose plecos will be about as large as most other adults. Bristlenose plecos can live five years or more, often living up to twenty years in captivity. The better you care for your bristlenose plecos, the longer you can expect to keep it in your company. Bristlenose plecos have an astonishingly easygoing personality that make them ideal for beginner and expert aquarium hobbyist alike. Even if you are already raising other species of fish, bristlenose plecos can be great tank companions – no matter what types of fish you are raising. These fish are hardy under most conditions, and they can be housed in a range of tank and water conditions. If you’re looking for a fish that will provide you with decades of enjoyment with minimal requirements for care and upkeep, consider raising the bristlenose plecos in your aquarium today.